King High senior Dennis Norfleet and Pershing High senior Caprice Dennis took top honors Wednesday at the second annual Detroit Public School League Proud Strong Learners of the Year Awards, presented by the DPS Office of Athletics and sponsored by McDonald’s. 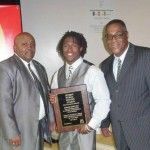 A large, festive gathering of honorees, parents, coaches, administrators and supporters filled the Marcus Garvey Academy Harambee Center to celebrate the achievements of the PSL’s top athletic performers. PROUD STRONG LEARNERS 2011-2012The honorees consisted of the 58 student-athletes who were named Proud Strong Learners of the Week during the current school year as nominated by their coaches. Each honoree was introduced and received a personalized plaque to commemorate the occasion. Alvin Wood, DPS assistant superintendent, spoke on behalf of the district’s administration in congratulating the honorees and urging them to continue striving high. 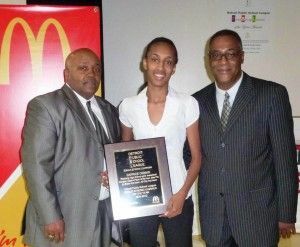 Savarior Service, representing Detroit area McDonald’s owner-operators, expressed a similar upbeat message and pledged McDonald’s continued support of the PSL’s Proud Strong Learners awards, which McDonald’s has sponsored since the first year. The two-hour program began with a photos and music-driven video presentation that reviewed PSL championships and events from last fall through this spring. Among the video highlights were Cass Tech’s Division I state football championship victory against Detroit Catholic Central at Ford Field, King High’s boys’ and girls’ sweep in the Big D league championship basketball finale at the University of Detroit’s Calihan Hall, and Western High and CMA winning the PSL baseball championship doubleheader at Comerica Park. 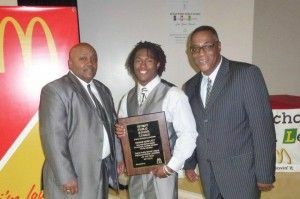 Daryl Weaver, the PSL’s public address announcer and dean of students at Marcus Garvey, joined DPS Sports Information Director Chuck Johnson to co-host the program, which ended with the suspenseful announcement of Norfleet and Dennis as the Proud Strong Learners of the Year for boys’ and girls’ athletics, respectively. 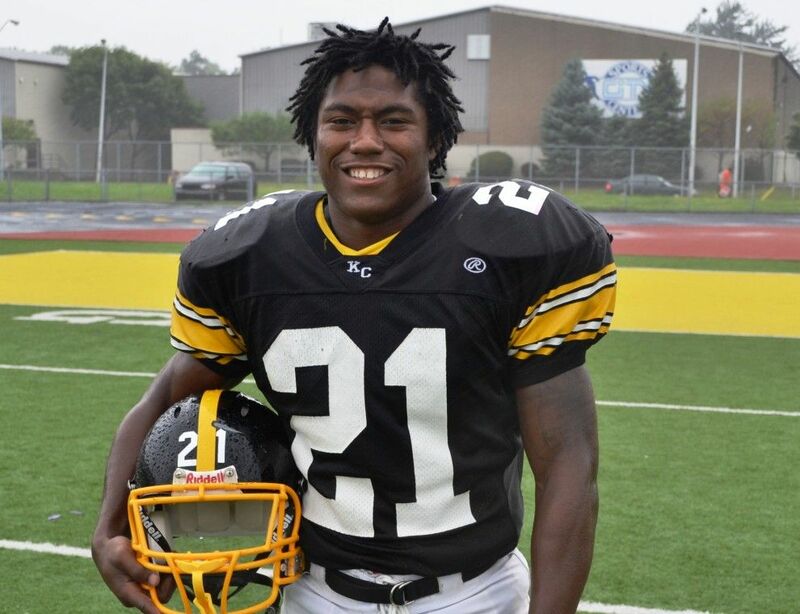 Norfleet, a 5-8, 170-pound running back, gained well over 5,400 yards as the heart and soul of King High’s football team the past two seasons. In addition to being an All-American and first team All-City and All-State in football, he was also the relentless point guard for the PSL’s boys’ basketball champions. 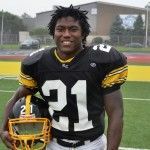 He will be playing college football next fall at the University of Michigan. Dennis, a 5-9 guard, began the girls’ basketball season as the No. 1-ranked player in the state and she finished it as the state’s Class A Player of the Year. 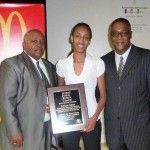 She was one of the PSL’s most heavily-recruited athletes before deciding to accept a scholarship at the University of Miami. “Athletics remain one of this school district’s greatest treasures and these honorees, all 58 of them, exemplify that,” Johnson said. “I was pleased to see that so many parents, coaches and school supporters came out to show their appreciation for our shining stars. You can find more photos from the Proud Strong Learners Awards on the Detroit Public School League page on Facebook. Become a fan of the page and follow the action. This entry was posted in Boys, Girls, News and Press Releases, Sports, Student Showcase and tagged 510, Featured.